Shoutout to Kirsten King (graduate of Emmanuel College, by the way!) 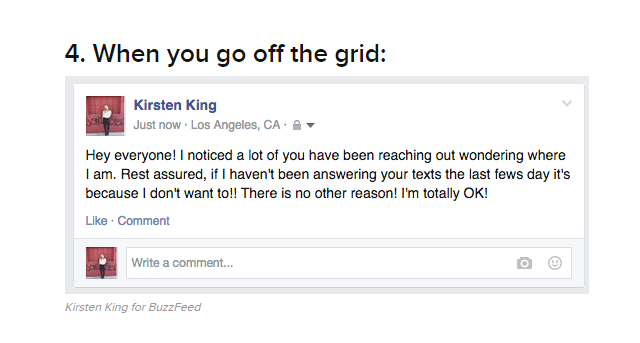 for a silly and occasionally painfully true portrait of the introvert on social media. Guilty…in the sense that I do this. NOT in that I feel bad. Click here to get the full list, and feel free to share in the comments what other situations you’d add! ← Thank You Higher Ed Social Podcast!